Premier Charter School's Before and After Care (BAC) Program is designed to support working parents who need additional care for their children during the day due to work responsibilities or other commitments outside the home. It is our goal to not only assist in family well-being with providing an extended safe and nurturing environment for our students but to enrich the whole child. The Premier Charter School BAC Program is held on-site and is open to all students. It is well-supervised with qualified staff members. Breakfast is provided before school and a snack is provided in the afternoon. 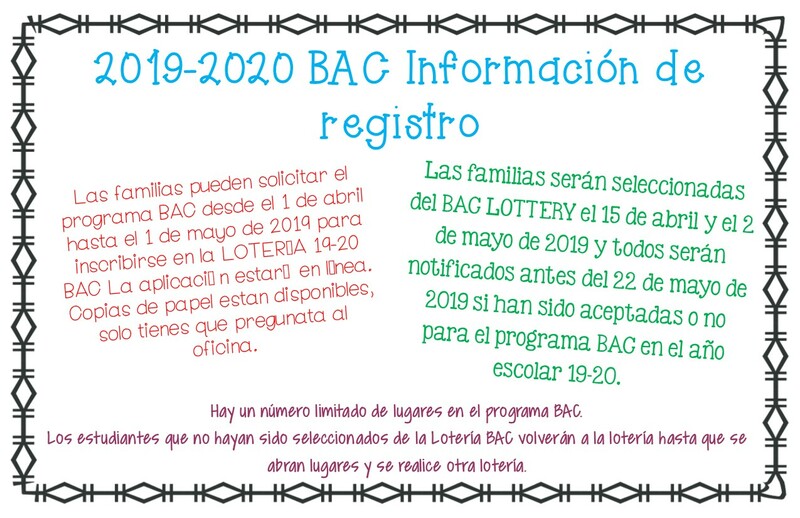 The BAC Program will be filled via a lottery system. There are a limited number of spots per each grade level. There will be sibling preference based on spots available per grade level. The first lottery drawing will take place April 15th, 2019, the second lottery drawing will take place May 2nd, and additional lotteries will take place as space becomes available. We will reach out to families as the drawings occur to let them know their status of acceptance into the program. All families will be notified by May 22nd. Previous years balances must be brought to good standings before being accepted into the BAC program. Students that are not enrolled in the before or after care program are only allowed 5 drops in for Before Care and 5 drop ins for After Care for the school year. Monthly payments, must be paid by the end of the month we are currently in.